October has always made me focus my attention more on all the things I am grateful for in my life. Maybe it’s because we celebrate Thanksgiving…….maybe because Autumn is well and truly upon us and the busy summer now gives way to a slower routine. The world is still a crazy place (read last month’s newsletter if you haven’t yet) ;p Lately I have REALLY starting thinking and (gasp) worrying about how our tiny humans are coping with it all. Their ONLY way to figure out how to live a healthy, balanced life is through their parents, grandparents and to a large extent, (sadly) social behaviour. What messages are children receiving from society right now? Have you stopped to think about it? We live in a world where the media bombards us EVERY single minute of the day with advertisements, telling us what to buy, why we should be buying it and telling us that if we don’t have these material things NOW, we can’t possibly find happiness. Our entire self worth seems to teeter on a balance of whether or not we have the right labels on our clothes, have Coach luggage or not, if we have the latest smartphone or HUGE big screen Fibe tv…..and it goes on and on and on……. Obviously not everyone in the world is caught up in this ridiculous cycle of consumerism and those of us here can snap ourselves out of it and return to the the REAL things in life that matter. But how do our children learn to be grateful in a world that is training them to feel this insane sense of entitlement? How can a parent say no to their child when “every other child” gets everything they want? Before I started my wellness practice. I taught children for many years in an outdoor education centre. And I loved it, I still miss it. Children’s minds are amazing and they just absorb everything. I believe children are all kind and gentle at heart and they are searching for and seeking us to show them how to live a wonderful life. We know how to express gratitude for the little things in life. But how can we expect our little ones to do the same if we don’t teach them? The sad truth is many children are born and raised with families who will never show gratitude and seemed doomed to grow up repeating a vicious cycle of obscene entitlement. And maybe we can’t have much control over that. But I believe the best way to teach ANYONE is to LIVE what you want to portray. If you believe this world can find PEACE, then BE a peaceful person. If you have HOPE, then BE hopeful. 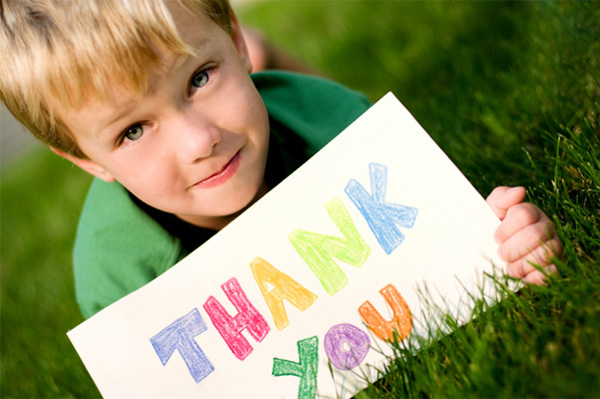 If you can show GRATITUDE each day, YOU just may affect a child’s life and teach them to BE a grateful person. 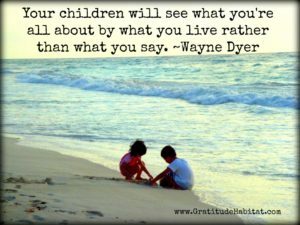 Children are like sponges, absorbing all of the messages they receive, positive and negative. They look to adult behaviour to mimic how to live in this world. Let’s all CHOOSE to show them how to be thankful for the truly important things in life. It’s not about the phones, the cars, the clothes. We know the real secret to living an optimal life…….oh look, the colours are changing and the trees look so beautiful. Thank you! !